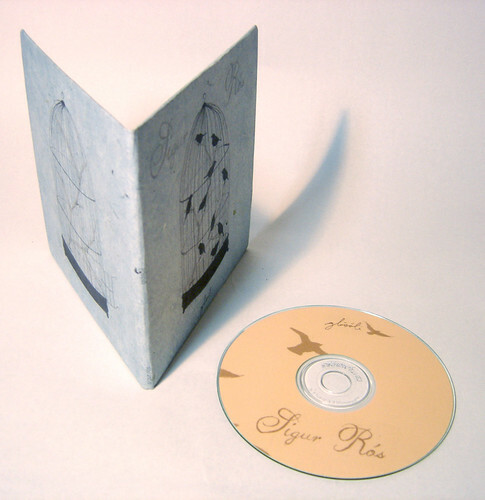 This morning I'm sharing a project from two years ago- a hypothetical package design of a Sigur Ros song called "Glosoli". I wanted to share this project quickly because, while I'm not completely satisfied with the interior of this design, I thought it would be worthwhile to show off the parts I do like. "Glosoli" in Icelandic means "glowing sun" . After listening to the song a dozen times on repeat, what I remember being really struck by was the building up of tension and then a great sense of release. I chose to express this visually with a birdcage. 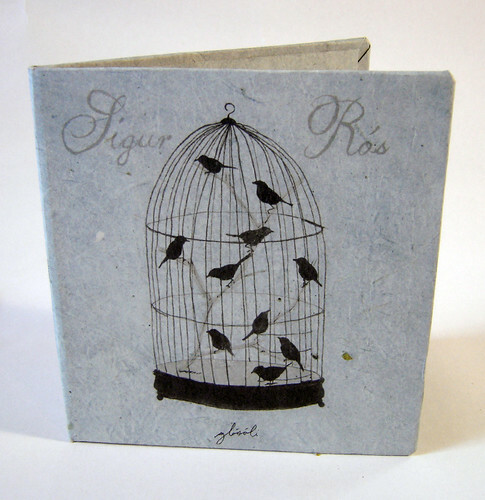 The front cover shows the birdcage filled with birds. The interior (not pictured) shows the cage door swung open and birds streaming out across the sun- the CD decked out in gentle orange. 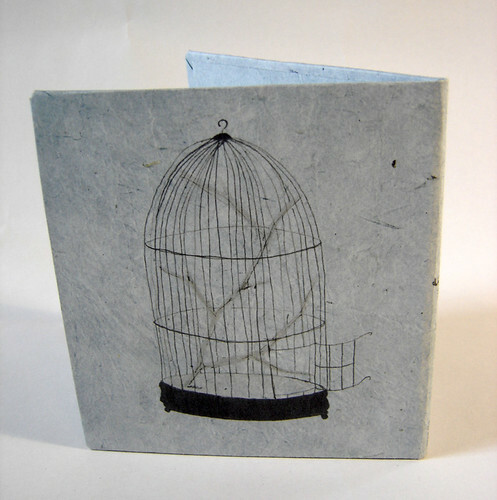 The back cover is the empty birdcage.